Key is removable in the off position only. 2 keys are included. Honeywell Key and Rotary Switch, Screw connector. Various options are available. Part No. 84829. Leap Year Compensated to 2399. Honeywell Key Switch, 20 A @ 12 V dc 3-Way, -40 → 85°C. Power Switching IC. Honeywell Leaf Lever Microswitch, 16 Amp 250 Volt AC SPDT-NO/NC Multiple QTY. 84829-07 - HONEYWELL - Switch Key Lock OFF ON OFF SP3T 45° Flat Key 20A 48VDC Screw Panel Mount Automotive Box. Honeywell 84828 Interruttore a chiave a vite, 20 A 22.1 mm 48V. 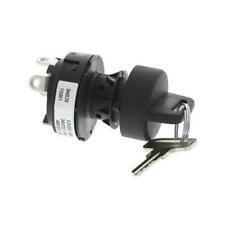 Honeywell Key e Rotary Switch, connettore a vite. Honeywell 84828 Interrupteur à clé à vis, 20 A 22.1 mm 48V. Honeywell Key et commutateur rotatif, connecteur à vis. Indice IP encore en suspens. MPN 84828-07. 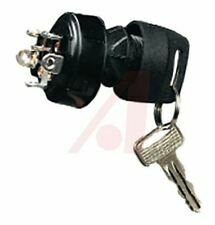 Honeywell-Key und Rotary Switch, Schraubanschluss. Diese Taste schaltet wurden für Panel-Mount-Anwendungen konzipiert und macht sie geeignet für den Einsatz in unterschiedlichen Umgebungen ökologisch versiegelt. Honeywell 84828 Interruptor de llave de tornillo, 20 A 22.1 mm 48V. Honeywell Key e interruptor giratorio, conector de rosca. Varias opciones están disponibles.